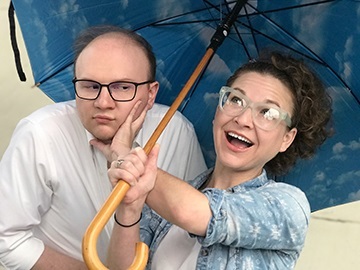 The Chattanooga Theatre Centre will present an original Chattanooga-themed radio play, talk show and rock concert on Saturday, Oct. 27, just in time for Halloween. A presentation of the CTC's Riverbend Radio Revue titled Halloween Horrors of the Nightmare 'Noog, is a night of laughs, games, music and ... ghosts. Written and hosted by Courtenay Gillean Cholovich, who appeared on the CTC stage in last season's The Mysterious Affair at Styles, it features some of the CTC's best acting talents treating the audience to a night of chilling stories inspired by local lore. The Five-Day Benders, the event's own house band, will perform, and there will be heavy hors d'oeuvres and a cash bar. The performance begins at 8 p.m. Tickets may be purchased at the CTC box office at 267-8534 or TheatreCentre.com. Admission is $10.